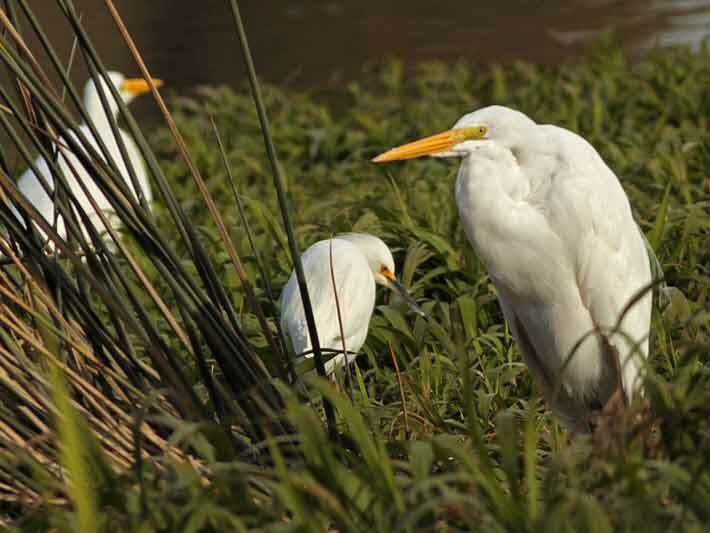 How considerate of this Cattle Egret to stand near the other two white egrets. 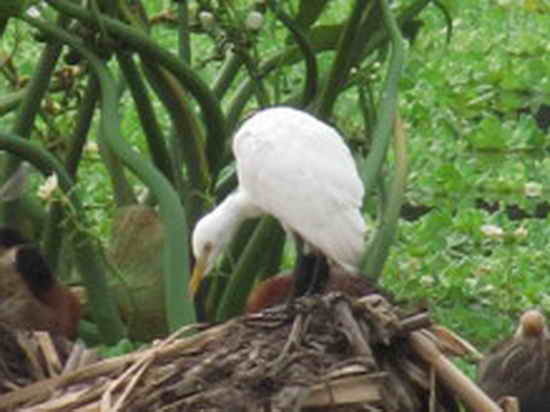 At first sight the Cattle Egret (35cm) and the Snowy Egret (40cm) are almost the same size. 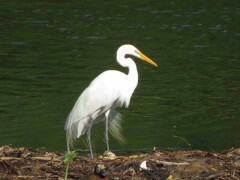 The Great Egret (65 cm) is noticeably taller. Since the Cattle Egret walks with the cattle and other animals catching insects stirred up by them, the reserve is not the place for it to stay. So records are scarce. Anyway, we must look attentively. Sometimes the position or the distance may lead to confusion and as a result an important register may be lost. In alternate plumage identification is easier, things get complicated in basic plumage. 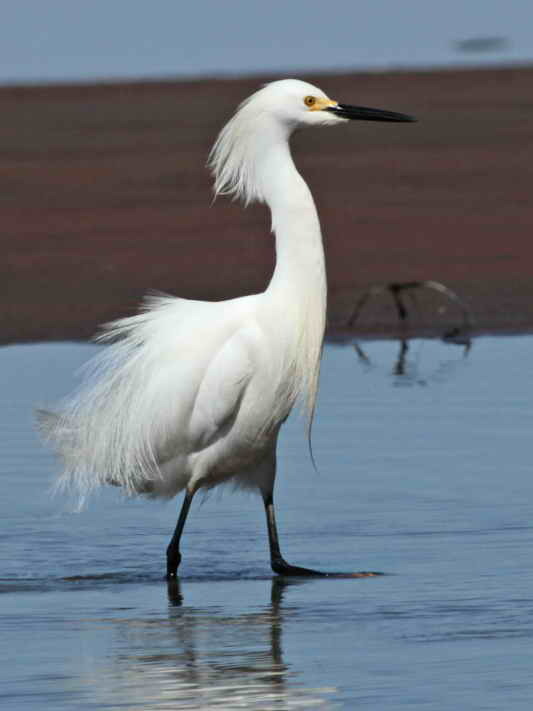 Let's compare it with the Snowy Egret first. 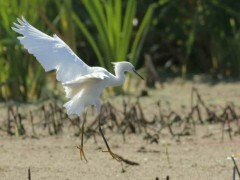 Let's take now the Cattle Egret and the Great Egret. The Great Egret does not change the colour of its plumage either. 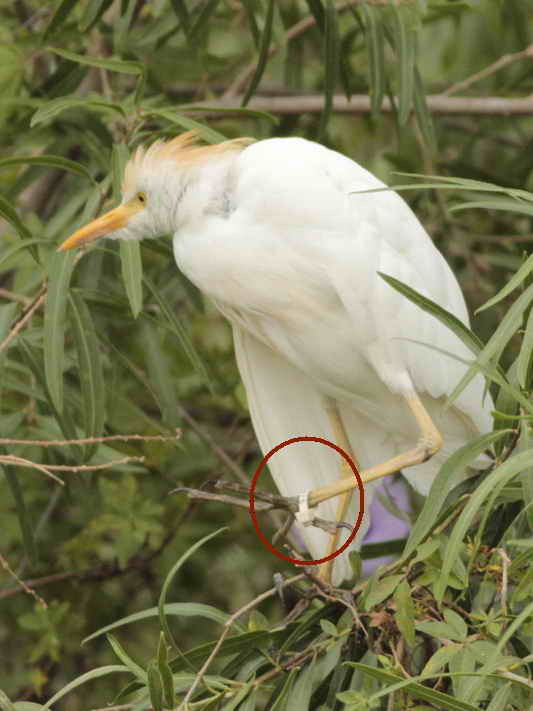 So, Cattle Egret's cinnamon spots are diagnostic. Let's concentrate on confusiong times. Here colour of the body (white), legs (black) and bill (yellow) coincide. Size is decisive. If we are not good at measures and they are alone, have in mind that the length of the Great Egret's neck is much longer in relation to its body. 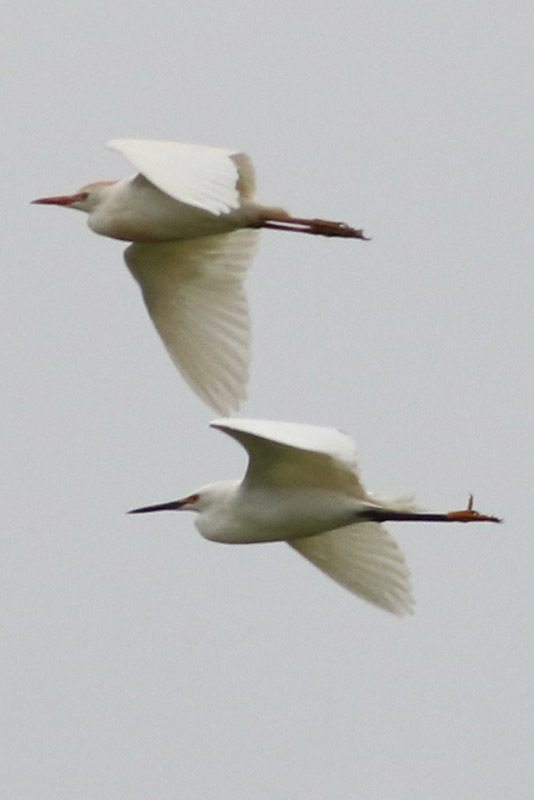 Another clue might be to compare the bird with another one near, if there is any. 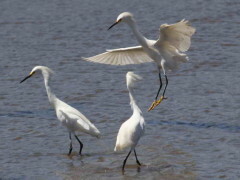 The Great Egret and the Snowy Egret share the same environment. So, it is common to see them together. They even nest together. The appearance of both egrets remain almost unaltered all year round. The colour of the bill is the characteristic to pinpoint.